Aisha Mohammed was born on May 9, 1988. She is from Nassarawa State, but was raised in Gboko, Benue State. She has a first degree in sociology from Nassarawa State University, where she is currently pursuing a master’s degree in industrial sociology. The lady, who speaks Tiv, Hausa and English fluently, recently produced her own film, My Name is Kadi, where she played alongside Blossom Chukwujekwu, Kenneth Okolie, Tina Mba and Silvia Oluchy. The sociologist, who has featured in quite a number of films such as, School Pool Party, As Crazy As It Gets, No More Love, Diary Of A Player, Filth etc, reveals that the film is completely created from imaginations. She developed interest in arts as a child, taking part in cultural dances and drama activities in school. In 2007, she won the Face of Nassarawa State beauty pageant and then represented her state that same year in Miss Tourism Nigeria, where she emerged top 10. In 2012, she took her first acting role ever in a soap opera, but didn’t act any other film again, because she felt acting needed a lot of commitment, which she wasn’t willing to give that time as a result of academics. In 2013, she won Miss NYSC Taraba and then contested for Miss Nigeria 2013 emerging the Top 10. 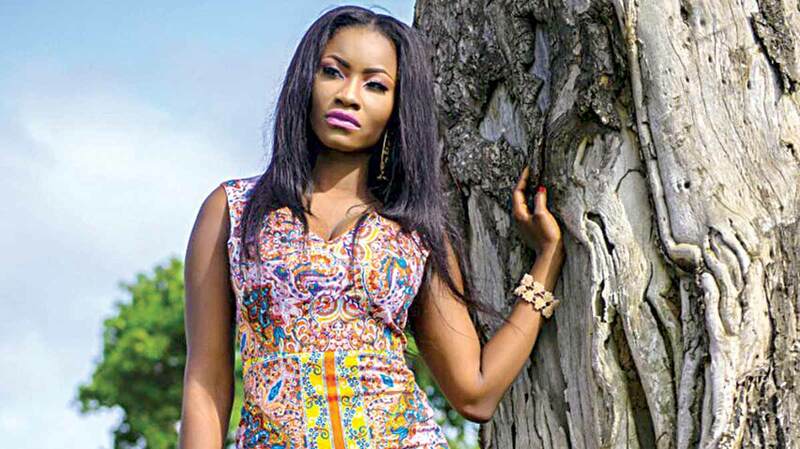 In 2014, she made a major comeback into Nollywood and has been unstoppable since then. She explains that the movie treats issues affecting the society such as, corruption and the need for parents to help their children develop their talents from an early age so that when they grow up, “they can become professionals and can contribute to the society positively.”Talking about her character in the film, she reveals, “I want people to appreciate my versatility as an actor.